Gran Bahia Principe Punta Cana - a five star, moderately priced ($$$) Dominican Republic beach resort surrounded by the white sand beach of Playa Bavaro. 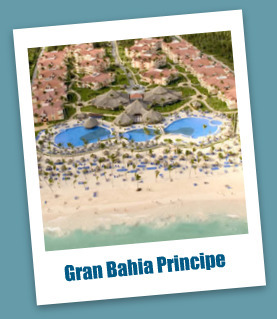 The Gran Bahia is an option for Punta Cana all inclusive family vacations, weddings, and group vacations. The nearest town to the Gran Bahia Principe Hotel is Higuey, which is an hour’s drive away and the Punta Cana International airport is 18 miles (30 km) away. This Dominican Republic beach resort offers 708 junior suites, each with its own bathroom and jetted tub. Each suite comes complete with air conditioning, 80 channels of satellite TV, a sofa bed, and the choice of two full size beds or one king size bed. Of the 708 suites, 40% are non-smoking and 4 are equipped for the disabled. The Gran Bahia is actually five resorts connected. Meals (with restrictions), and beverages (including hot drinks, soft drinks, wine, beer, and local cocktails and liquors). 6 bars: one located in the lobby; another in the theatre; two poolside and two on the beach. Golfing at several Dominican Republic golf courses nearby including, Bavaro Golf 20 minutes away; La Cana Golf Club 30 minutes away; Cocotal Golf and Country Club 20 minutes away; Punta Blanca Golf Club 5 minutes away; and White Sands Golf 15 minutes away. If you find the Gran Bahia Principe all inclusive resort isn't for you, please check out our Punta Cana Resorts page for more options. Nearly 76% of the more than 500 Punta Cana resort reviews would recommend staying at the Gran Bahia Principe Punta Cana. Most travelers felt the hotel was very good value for how much they paid. The beach, the pool, the landscaping, and the scenery all received high marks for being gorgeous and well maintained. As with most beaches in Dominican Republic the Gran Bahia is no exception to the goregous white sand and turquoise blue Caribbean waters. The majority also found the staff to be friendly and helpful and the entertainment staff was great. The nightly entertainment also got a number of favorable notices - the resort was noted to have a lively nightlife with several bars to choose from and an outdoor village with music and vendors. Many reviewers liked how big the resort was with lots of places to stroll. The great Japanese restaurant - definitely a must try. There is almost always a breeze off the ocean to keep you cool. The choice of several swim-up bars. The resort was very clean. Kids loved the fantastic kids-club whose staff did a great job and the kids mini-disco at night. Lots of shade options available by the pool and on the beach. Some guests felt that the resort (advertised as 5 star) was not a five star quality. I think this is accurate but the resort also does not have a five star price. While the food and staff were positively mentioned by many reviewers, others felt the quality of the food was lacking and not up to five star standards. The pools can be crowded, and public areas tend towards cigarette smoke. More than one reviewer noted that travellers who upgraded from the basic package – signified by a green wristband – seemed to receive better treatment. As with most Punta Cana resorts, many of the staff spoke primarily Spanish - some reviewers disliked not being able to communicate with all of the staff especially the maintenance and cleaning staff. Some reviewers disliked how large the resort was and had trouble finding their way around. Reviewers felt the in-room safe should have been included instead of paying $4 per day. Presidente is the only beer served in the all inclusive. 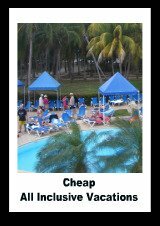 You can check out more reviews of the Gran Bahia All Inclusive at this TripAdvisor page. A dress code is required for the restaurants. More formal attire is preferred, but long pants are mandatory. Try to avoid staying on the ground floor; these rooms can be noisy. This Caribbean all inclusive resort has a different atmosphere with a large number of Spanish guests. If you are looking for a more "American" resort this may not be the place for you. Recommended Punta Cana things to do include: zip lining, snorkeling, and swimming with the sharks and sting-rays. Don't miss the evening circus show as many guests raved about it. Bring an insulated travel mug to keep your beach or pool drinks cold and to keep the sand out. Some guests recommended upgrading to the newer Esmerelda or the Ambar Resorts (adults only). Try the Japanese restaurant and request a table where they cook right in front of you - it's fun and the food is good. Many families and groups were pleased with their stay at Gran Bahia Principe Punta Cana. Guests expecting quiet, romantic Punta Cana resorts should know that this resort is geared towards families and spring break and other school vacations can bring their share of rowdy travellers. Overall, families and groups with reasonable expectations compared with how much they paid will be the happiest customers at this resort. 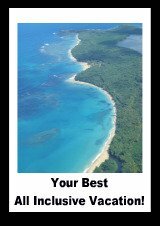 Those expecting a perfect, five star Caribbean all inclusive experience may be disappointed and vacationers looking for more luxurious Caribbean getaway may want to check out or our "Top 10 Punta Cana All Inclusive Resorts" listing which highlights the best of the best resorts in Punta Cana. 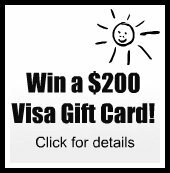 Check out our Best All Inclusive Family Vacations page for more kid friendly resorts.